I haven’t had a whole lot to say over the last week, leading to a minor absence from my blog and a vacation from my new novel (even though I’ve only just begun). But I have a very good reason for that — I’ve been incredibly busy taking the first steps into creating a new future for myself with the formation of a new business venture. The decision to form a new business didn’t come easily, let me tell you. In fact, it took quite a bit of time in reflection to understand that I had even come to a crossroad, much less which path I should take. But once I did, it became quite clear to me which road God was urging me to follow — and which one I needed to leave behind. It all began the day I made the decision to leave a steady job to pursue a fresh creative outlet that would help me grow both professionally and creatively, something my job at the time was no longer offering me. I thought at the time that meant I was to bear down and search for a new full-time job to keep me financially stable while I continued to write and make films on the side (and pursue my ultimate goal of writing for a living). I took all of the necessary steps: I made sure I had enough funds to last a few months (the time I thought it would take to secure a new job); I redid my resume (a couple of times); I updated my portfolio; I updated my profiles on several social media sites; and I started to apply to every conceivable job that met my skills and felt would make me happy and comfortable. With what I had to offer in my dedication and my skill set, I was sure someone would see my potential in a fair amount of time. But as the weeks and months went by, all I found was failure, whether it be companies all but ignoring my resume or not making the right impression at an interview. My future was looking thin at best. At the same time, I had plenty of time now to focus on some stuff I would otherwise not have had time to focus on. 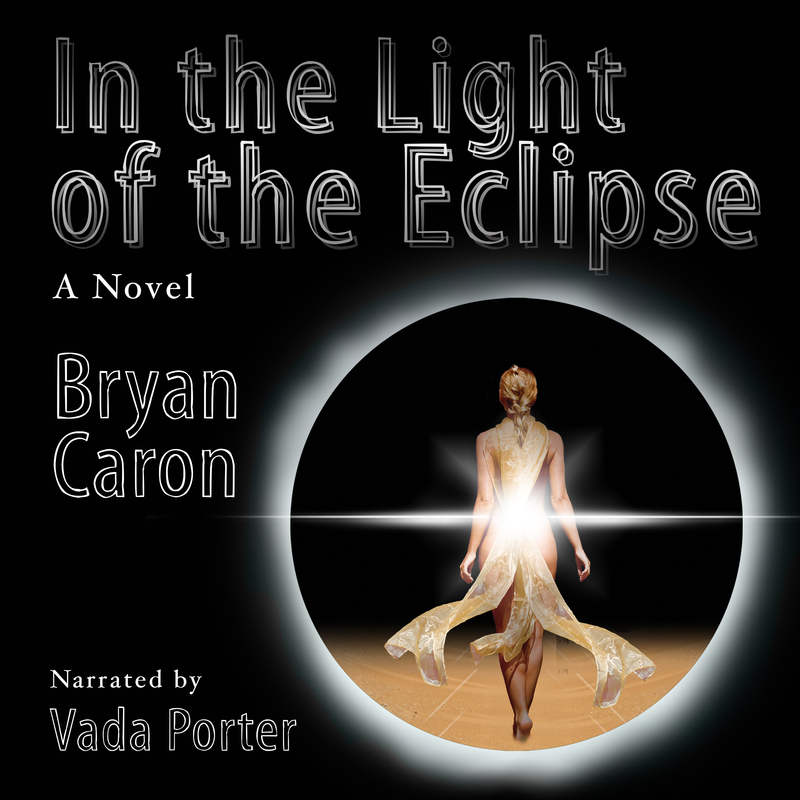 I was able to work diligently on my novel, In the Light of the Eclipse, learn a bit more about marketing, create a new website for my novels, and help my sister with her wedding. That last bit is what really turned my attention away from the prospect of a nine-to-five to that of self-fulfillment. It was right after my sister got engaged that she asked me to be her videographer, something I wasn’t about to turn down (I was the videographer at my other sister’s wedding, after all). Several months later (and only a couple of months before the wedding), she asked me to write and film the skit I talked in detail about in this earlier post (a film that got rave reviews from everyone at the wedding). I was also able to do a little bit of last minute graphic work for her and it was then that I started to contemplate the prospect of working full time… for myself. The conversation started with the idea of doing design and video work for weddings, an event that has limitless potential… and an endless horizon. To make a living recording and editing weddings would certainly be an interesting career choice, but it wouldn’t be all I would want to do, else get stuck again in that place where I’m not growing as an artist. Weddings is a great place to start, but if I was to do something like this, I would want to have a lot more variety. It just so happened that my sister’s wedding planner, Selina Rose, was seeking a designer to create a new logo and a website for her own budding wedding and event planning business. I jumped at the chance to help her out and asked if she would be willing to refer me to clients for graphic or videography work (gotta keep networking, you know). She was thrilled to do so, as she saw first hand what I could do. Now, I’ve always thought that my dream job would be one in which I would be able to work from home (or in the very least, for myself), where I would have the freedom to work from pretty much anywhere I pleased, whenever I felt like doing it. So long as the work got done, it didn’t matter if you did it at two in the morning in your underwear or at two in the afternoon on the beach. At the same time, I always felt I should be financially stable before venturing out on my own. I wanted to be in a place where I was confident I could make a decent living without the crutch of a full-time day job because I was always afraid of what might happen to me if I didn’t. I’ve always been structured, needing order to sustain my comfort; wandering out into the unknown without a safety net was never in my personality wheelhouse. I need to feel safe; feel protected. If I tried and failed, where would I end up? That’s of course an irrational fear, as I have a fantastic support system in my family (one that has been supportive of me in all of my decisions, and are willing to help so long as I’m doing all I can to help myself). But it is a fear, nonetheless, and it’s big enough that it’s held me back from taking that initial leap (even though I have thought about it in the past). These last two weeks (as I’ve been having a blast editing my sister’s wedding footage and researching what it’ll take to start a new business) have really opened my eyes to the realities of where I need to be. Along with the prospect of working with Selina, both my sister and my dad have hooked me up with a few leads to some possible new projects. So with everything pointing to venturing out on my own, how could I not go for it and let the chips fall where they may. The most rewarding things in life, after all, are those that scare you the most. And trust me, I am still freaking out about it! It’s going to take a lot of hard work, sweat and possibly some tears. I’m double guessing myself and my indecisions have been front and center for the most part, but the more I commit to the prospect of doing something I love (and creating a business that takes advantage of all of my skills as a designer, writer and filmmaker), the more excited I am about making it happen. I’ve just completed my company’s logo, I’ve registered the website and next week I will be submitting all of the paperwork for the name (which will be officially revealed next week) and licenses needed to get my business off the ground so that I can be officially open for business by the first of February. It’s funny because at no time after I left my job did I believe that I would ever be jumping into something like this. But now that I have, I am excited to see where the road will lead in helping me create my very own successful future. This entry was posted on January 24, 2014, 8:44 pm and is filed under Miscellaneous Stuff. You can follow any responses to this entry through RSS 2.0. You can leave a response, or trackback from your own site.